Deanna here with a more masculine card today for the Dies R Us Inspirational Blog. Here is what I have for you today. To make my card I started with some Kraft card stock cut and folded to make a 4 1/4" X 5 1/2" side fold card. 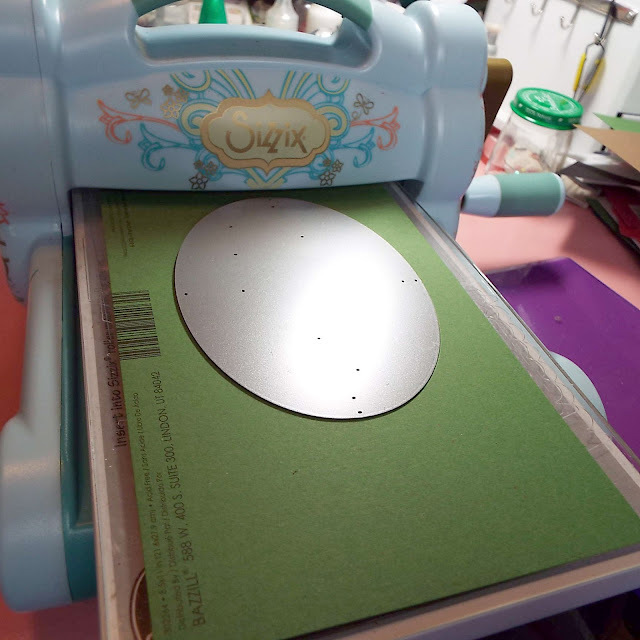 Next I added a green mat cut at 4 1/8" X 5 3/8" and a patterned paper mat cut at 4" X 5 1/4". For the image on the card I started by die cutting the Memory Box Wildflower Oval Frame die out of some green card stock. 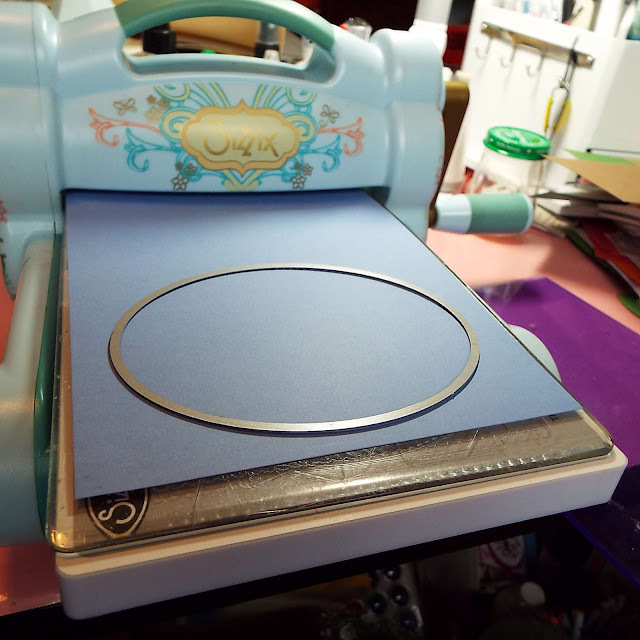 For the blue layer I noticed that the Wildflower die works with the Open Studio Oval dies. 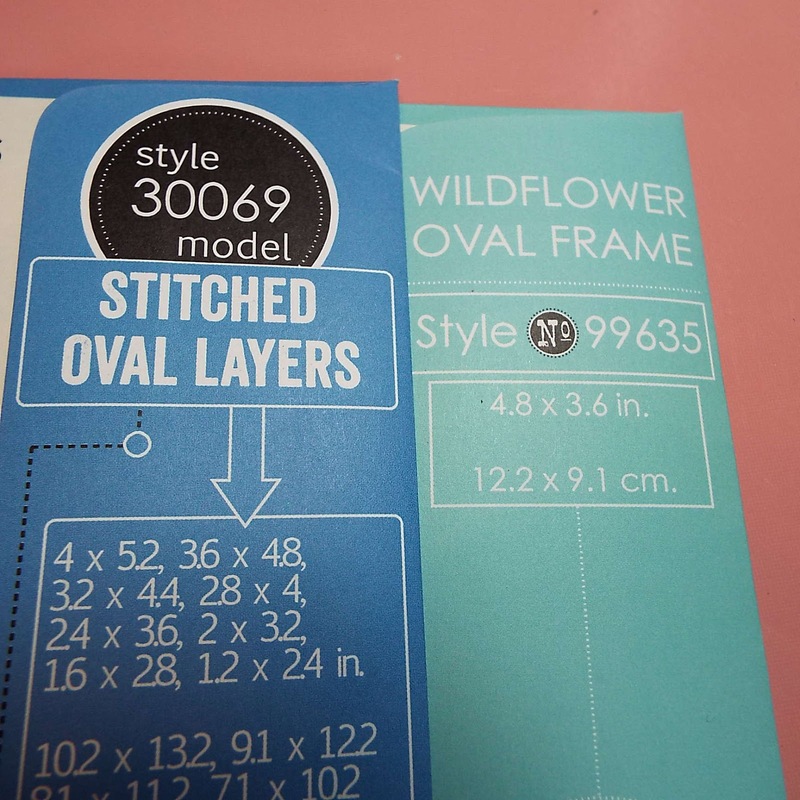 All I did was match up the size, in this case 4.8" X 3.6" and die cut an oval die using my Open Studio Stitched Oval Layers dies. 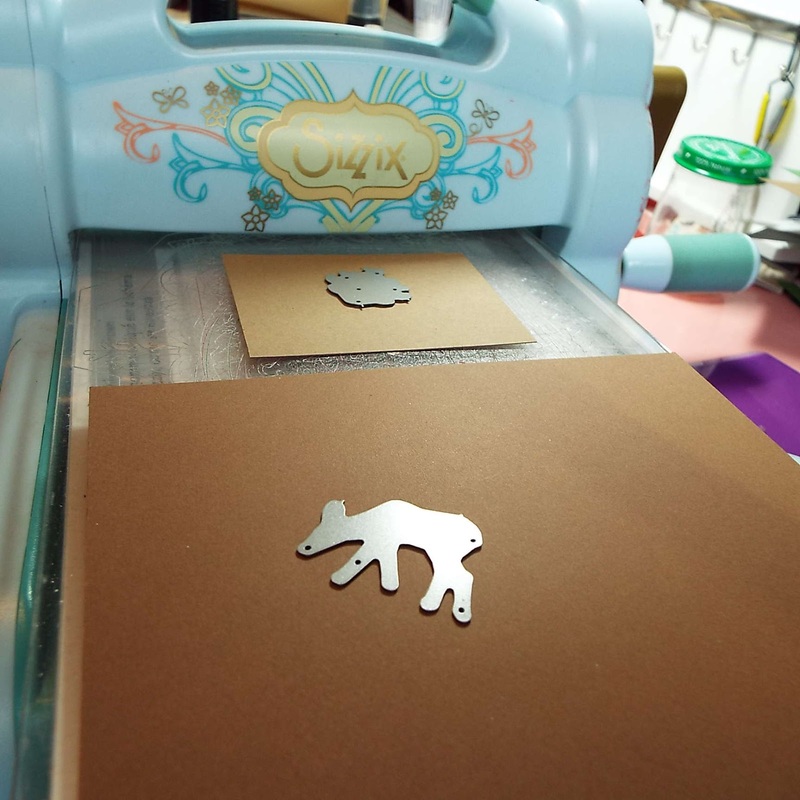 Finally I cut the Poppy Stamps Grazing Deer die out of some brown and Kraft card stock. I adhered my dies to my card front and stamped me sentiment. I think this is a great masculine card for a birthday, happy valentines day, congratulations or just about any other occasion. 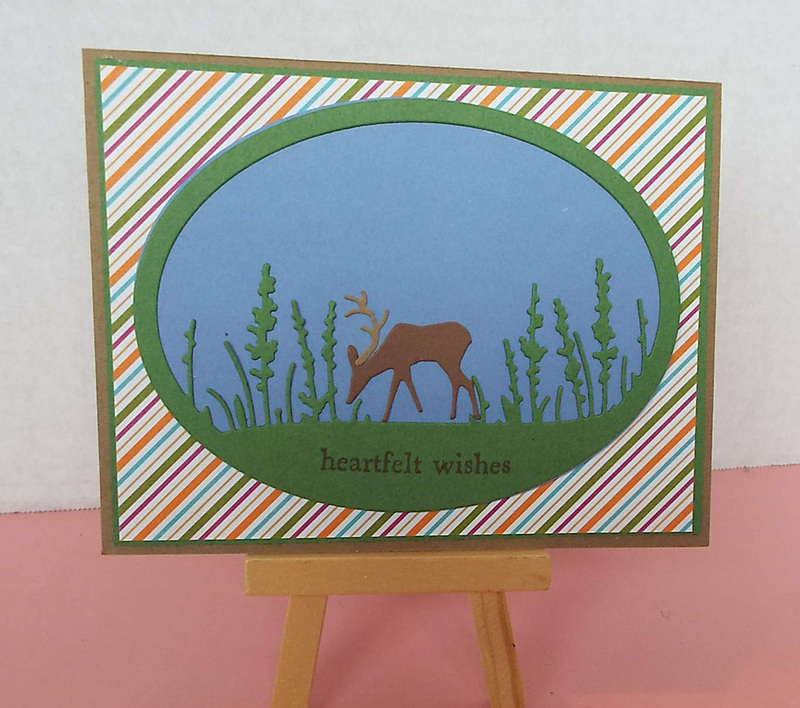 I love cards with deer on them and this one is beautiful. Great colors for a masculine card too. What a fabulous & perfect masculine scene Deanna! Awesome inspiration for those masculine cards that we all struggle with! Thanks! What a fine masculine card this is! I'm always in need of inspiration when it comes to masculine cards. Great design!! I just love scenes and masculine cards, this one is perfect! great job!